Happy 2013! 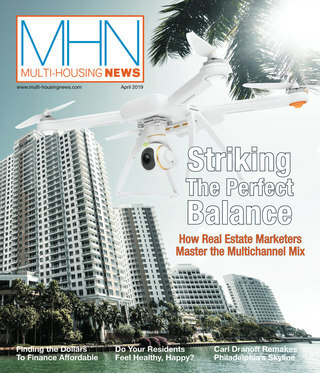 As we ring in the New Year, MHN’s January 2013 issue delves into the multifamily investment landscape, now that the contentious November elections are behind us. MHN Associate Editor Philip Shea continues his coverage of the Washington scene and its impact on the apartment industry in this month’s cover story. What will GSE reform look like? What impact will Obamacare have on the multifamily industry? And what markets will represent the greatest opportunity for investors? These are just some of the factors that will be shaping the multifamily business landscape. We also talk to several associations serving the apartment industry to find out what priorities they’ll be zeroing in on. Taxation is likely to be the number one topic, as whatever was not resolved by the end-of-year “fiscal cliff” will be pushed over to 2013. And expect to see a massive effort to protect the Low Income Housing Tax Credit (LIHTC) program. As always, a new year provides the opportunity to reflect on lessons learned and to adopt the best practices. 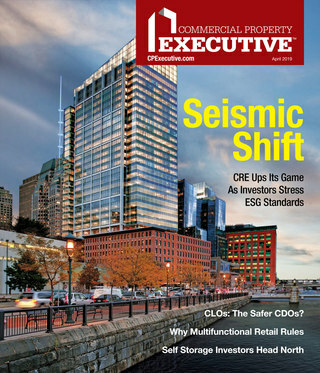 In Executive Insight, News Editor Jessica Fiur interviews Albanese Organization’s Senior Vice President Michael Gubbins, who shares highlights of his company’s exemplary disaster management plan. Albanese owns and has developed properties in New York’s Battery Park City. In addition to emergency evacuation plans, communication protocols and Community Emergency Response Team training from FEMA, Albanese had another leg up when Hurricane Sandy hit New York City. Its LEED-Platinum buildings have vegetative roofs that slowed water from getting to the streets. Also, Albanese located its mechanical systems on the roof so they were out-of-reach of flood waters. This month’s Marketing feature reveals the secrets of best-in-class leasing offices and model units. In the current development cycle, the leasing office is coming out into the lobby in a lounge-like setting that creates intimacy between leasing agent and prospect. Enabled by tablet technology that allows the leasing team a new mobility, this fast-moving trend will be exciting to watch as it evolves. Recently, Pynwheel unveiled Swoop—an interactive touch-top table designed to engage residents as well as prospects. What will you be doing in 2013 to shake things up?